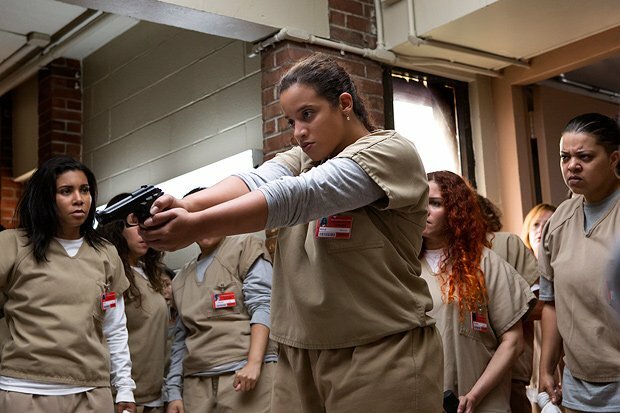 After the death of a beloved inmate, Taystee (Danielle Brooks) is leading a prison rebellion and attempting to advocate change at Litchfield penitentiary as season five of Orange is the New Black begins. Meanwhile Piper (Taylor Schilling) is left standing on the side-lines for the most part but is raring to get involved. As the women attempt to run their own fair version of society behind bars, issues concerning the psychology of protest and how difficult it can be to achieve justice simmer to boiling point. Orange Is The New Black, Season 5, is on Netflix from Fri 9 Jun.